Tourism Authority of Thailand (TAT) organizes ASEAN Together Run 2019 in accordance with the strategic plan of Sport Tourism to promote domestic tourism with ASEAN countries under the concept of ‘Run & Travel’ through Virtual Run, which encourageห people to run anywhere in ASEAN countries. 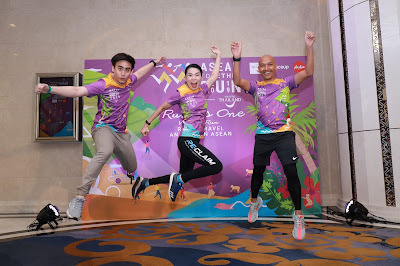 The run is open to all levels of runners starting from a fun run of 5 kilometres up to 200 kilometres as ultra distances. The distance accumulation of 652,190 kilometres will be converted into donations to UNICEF. A highlight is the medal designed with the concept "The One". Moreover, the landmark of each ASEAN country will be presented in 5 separate pieces which can be assembled together to complete one medal. 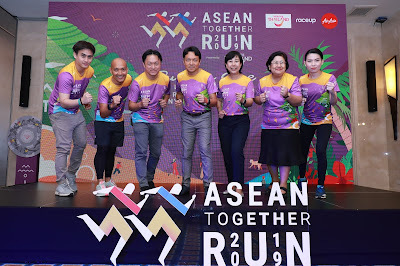 Registration is open today at www.aseantogetherrun.com and runners can accumulate their distances until the ASEAN Day on August 8, 2019. 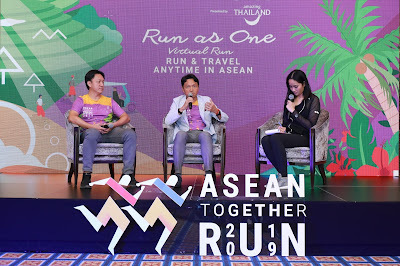 Mr. Tanes Petsuwan, Deputy Director of Tourism Authority of Thailand (TAT) stated that the number of foreign tourists visiting Thailand increased by 11% or around 2 million people compared to the previous year. 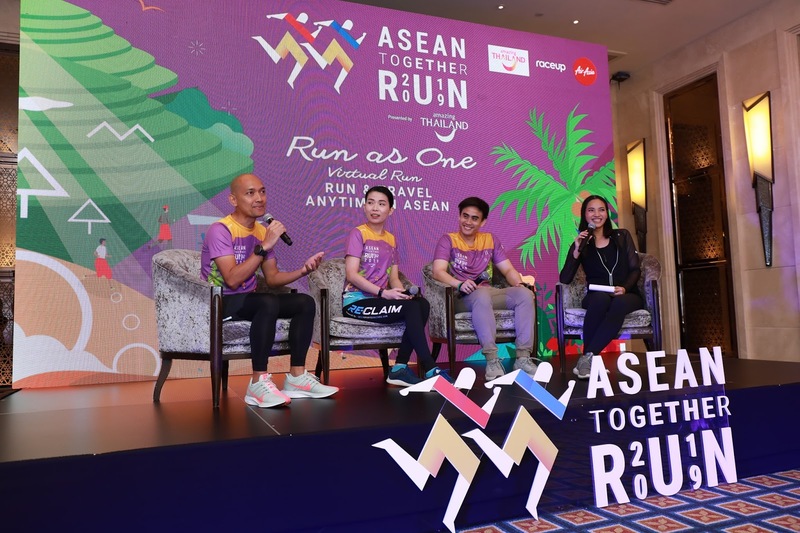 “The three most visited ASEAN countries to Thailand are Malaysia, the Lao People's Democratic Republic and the Democratic Republic of Vietnam totalling over 5,628,156 tourists. It is a group of countries that can facilitate easy travels in a short time and having similarities in culture, food and languages,” he adds. According to TAT’s policy to stimulate domestic tourism, the strategy of Sport Tourism is selected to be applied in the campaign as one of the rising travel segments. 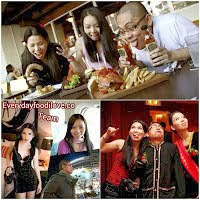 “Running is now enjoying growing interest and is a favorite sport of people around the world. In particular, Thailand has 12 million runners, or 17.4% of Thai population. For ASEAN, the total population is 652 million people. If counting only the countries that running is popular among their people, which are Indonesia, the Philippines, Vietnam, Thailand, Malaysia and Singapore, there will be over 55 million active runners in ASEAN,” says Mr. Tanes. 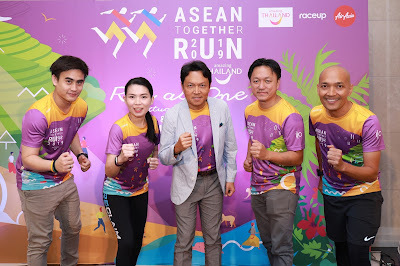 “ASEAN Together Run 2019" is created under the concept of “Run & Travel” through the form of Virtual Run, which people can run anywhere in ASEAN. 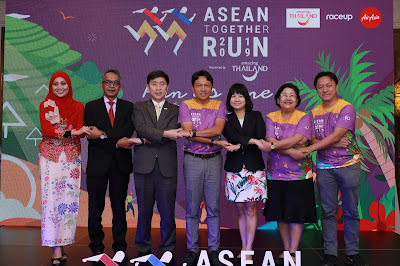 The purpose is to encourage people to exercise by running, to create a network of ASEAN runners as well as to promote tourism in ASEAN countries. In addition, the accumulated distance of 652,190 kilometres of all participants will be converted as donations to UNICEF. 1. 5 km: for those who are interested in starting their first run. 2. 21 km: for those who start falling in love with running and want to develop their potential to the next level. 3. 42 km: for those who overcome the limit and want to keep running activity. 4. 100 km: for those who run for passion and want to be a tough runner. 5. 200 km: for those who want to be a full runner and stepping into a full race. 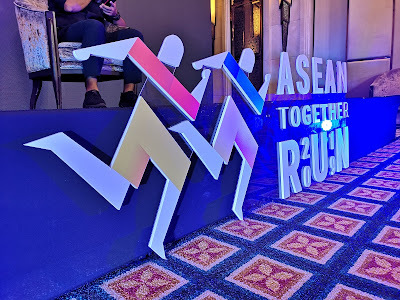 Each level has its cut-off time and is effective from September 18, 2018 to August 8, 2019, the ASEAN Day. 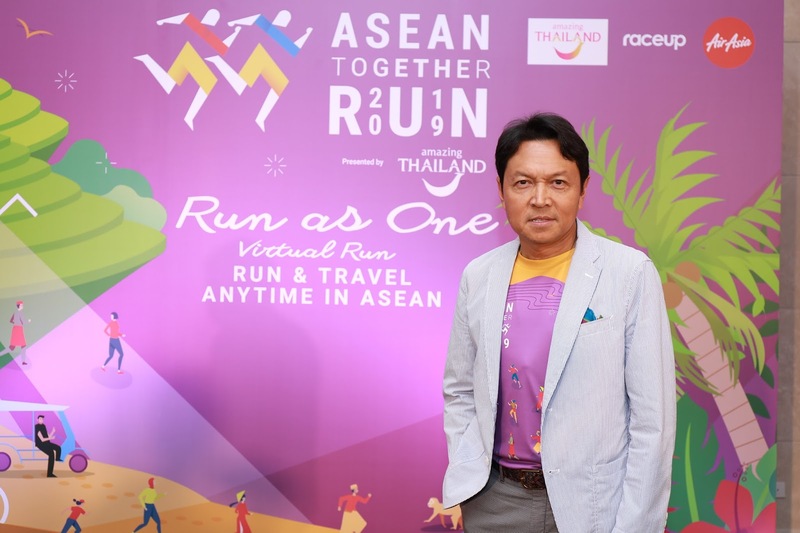 Mr. Alongkorn added that one of the highlights is the special medal design with the concept "The One" which is aligned with the slogan of ASEAN as One Vision, One Identity, One Community. The medal is designed in ‘O’ shape with 5 separate pieces to be assembled together. 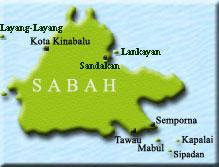 Each has a landmark image of ASEAN countries, namely, Grand Palace for Thailand, Borobudur for Indonesia, Merlion for Singapore, Petronas Tower for Malaysia, San Agustin Church for the Philippines, Sultan Omar Ali Saifuddin Mosque for Brunei, Ha Long Bay for Vietnam, Patuxay for Laos, Schweda Kong for Myanmar and Angkor Wat for Cambodia. “Each participant will receive a piece of medal after the end of the race. Each piece can be assembled together to complete the whole medal by receiving the center piece from TAT once the participant runs in, at least, one of ASEAN countries outside the country of residence and also has one run in Thailand," says Mr. Alongkorn. In addition, participants also have a chance to win a special package ‘Run & Travel in Thailand’. 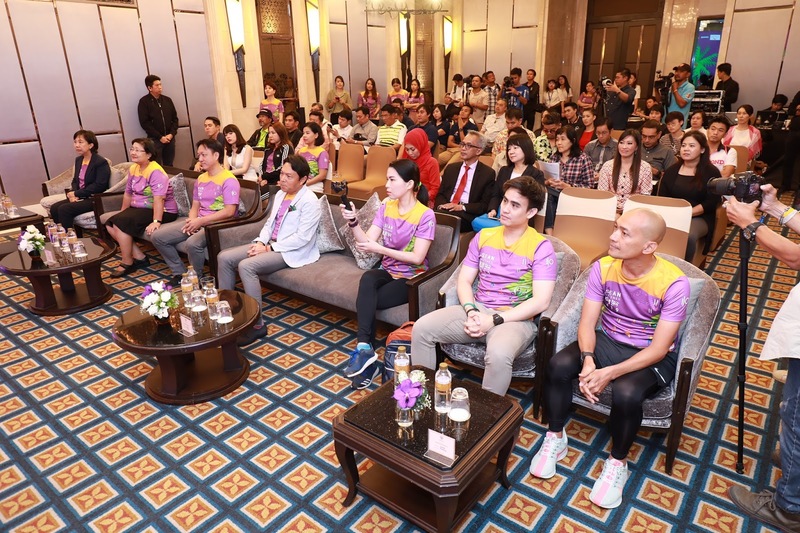 The package includes a runner's card of Thailand's famous marathon together with transfer, accommodation and many more goodies.